Detox is a buzz word in the health and wellness field nowadays. Toxins are built up in the body from eating too many processed foods, too little nutrient-dense whole foods, having a lack of movement, and so much more. If you are suffering with depression, anxiety, bipolar disorder, one of the reasons may be due to toxic build up resulting in improper metabolic functioning. You may be wondering: “What is metabolic functioning?” Metabolic functioning is a term that is used to describe the chemical reactions that occur in your body. Today’s article will focus on one of the most important reactions that occur in your body when it is under stress: This is activation of a substance called Nrf2. You most likely have heard of the term antioxidants – substances that prevent cell damage, such as Vitamin C or Vitamin E. Much research has been done on the positive health effects of antioxidants; one of the amazing effects is to protect the brain! 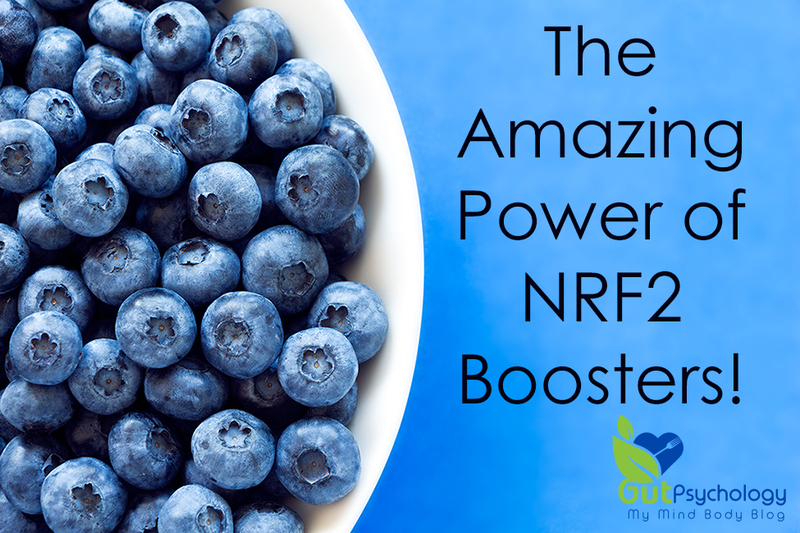 New research is showing that there is a master regulator of antioxidants called Nrf2. Nrf2 is a protein that is found in all of our cells. When it is stimulated, Nrf2 activates powerful antioxidant enzymes and a host of reactions occurs in the body. So how does Nrf2 affect mental health disorders? When a stressor occurs, Nrf2 is signaled to protect your cells and get rid of toxins. But, just like anything that has too much stress or pressure on it, there will be a breakdown waiting to happen; Nrf2 can’t keep up with the demand of toxins and eventually, diseases manifest and mental health becomes impaired. However, providing the body with the right resources to keep Nrf2 functioning properly will prevent this from occurring. How can I activate my Nrf2? Another food that stimulates Nrf2 is fatty fish! For the above foods, ensure organic as much as possible and wild caught fatty fish to ensure the highest quality nutrition and of course reduction of any further toxic buildup from pesticides. Massage the kale for a few minutes with your hands to make the leaves soft. Intermittent fasting, or eating in a scheduled 6-8 hour period of time, is one other way to activate Nrf2. Meditation has been shown to increase Nrf2 signaling. Furthermore, movement activates this potent protein, which can be a great source of motivation to hit the gym! In essence, Nrf2 lets the cells protect themselves. As you’ve just read, there are many ways to powerfully activate this pathway in the body. Instead of taking high doses of Vitamin C or other antioxidants: give the body what it needs and take away what it doesn’t, and simply watch it thrive. For more articles like this and to learn about the Gut Psychology Program, visit www.gutpsychology.com. To learn about Dr. Cain and her practice, visit www.drnicolecain.com. Jaramillo, M. & Zhang, D. The Emerging Role of the Nrf2 – Keap1 Signaling Pathway in Cancer. Genes & Dev. 2013. 27: 2179-2191. doi: 10.1101/gad.225680.113.